History of the Eurovision song contest on the TV channel "Russia 1" could be described simply: brief but brilliant! The TV channel has participated in the Eurovision just four times - and every time it could be characterized by the word "first". In 1967 the Eurovision hosts (the event was held in Vienna) proudly announced that the song competition was broadcast for the first time on channels of the Intervision (the Eastern European analogue of the Eurovision), including the Soviet Union. Unfortunately after 1968 the Eurovision song contest disappeared from the schedule of the Soviet Central Television for a long time, primarily for the political reasons. Only in 1987 it was again shown in the USSR, but taped, edited and without voting. The television show “Programma A” and its host and TV director Sergei Antipov took the role of the main "engine" of the song contest at the end of 1980s in the USSR (and later in Russia). In 1989 the Eurovision for the first time was aired live in the Soviet Union (however without the voting part). The contest was translated by an interpreter in Moscow. In 1990 and 1991 the Eurovision was shown in full (including voting) and commentators were in Zagreb and Rome. The Eurovision song contest appeared on the TV channel “Russia 1” in 1993. In 1994 a qualifying round was organized, which revealed the first Russian participant for the music competition. It was Masha Katz (performed under the pseudonym of Judith, the image by the artist Gustav Klimt). The young singer performed with the famous at that time group “Blues League”. Preparation of the first Russian participant was very serious. Masha’s dress was designed by the theater artist Pavel Kaplevich and her team included well known stylist Alexander Shevchuk, photographer Valeriy Plotnikov and the stage director Valentin Gneushev. The singer Sergey Krylov provided the most of the organizational and financial assistance in the preparation of the Russian contestant. The song "Eternal wanderer" by Lion Zemlinskyi was considered as one of the best songs in the Eurovision history. During the competition week the TV channel broadcast from Dublin daily reports about the singer’s preparation. Masha Katz’s ninth place was a considerable achievement for the Russian debutant. It must be added that the following performances of the Russian singers at Eurovision up to 2000 were not very successful. 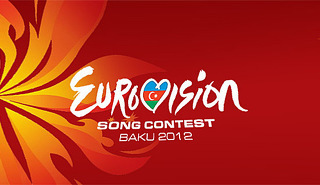 In 2008 "Russia 1" began to broadcast the Eurovision contest again. That year Dima Bilan brought our country a victory. But the contest in Belgrade was notable not only because of it. The victorious for Russia Eurovision was commented by Olga Shelest and Dmitry Guberniev. Their hosting set a new bar for the genre. Their comments were brilliant, original and full of irony and knowledge of the subject. In 2010 “Russia 1” presented another unusual contestant for the Eurovision. Peter Nalich did not belong to the traditional show business and gained his popularity through his Internet activity. And although Nalich with his group was not among ten finalists, he opened a new epoch in the Eurovision - the era of "the Internet singer". This year a folk group “Buranovskiye Babushki” (the Buranov Grannies)will go to the Eurovision. The group from the Russian Republic of Udmurtia consists of six village grandmothers of retirement age. The 76 year old Natalia Pugacheva is the oldest participant of the European competition in its entire history. There is a growing interest, not only in Europe, but all over the world - from Australia and Canada to India and Peru, to this unique music group of grandmothers.